This looks like such a fun read, especially as it seems so vertical – just like a tree! I love that some of the independent publishers are starting to translate & bring books from non-English/American independent publishers here. I look forward to finding this in my local library. This really looks like a fun book. I’ll keep my eyes open for it. Thanks. I’m already laughing at what is falling out of the tree with each shake. 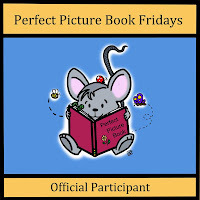 Thanks for another perfect picture book review this Friday, Julie. There is more hidden in that tree than can be seen. 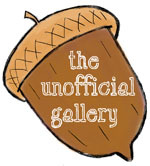 What a fun story for kids learning to read. I love the illustrations and overall simplicity. Oh yes…this looks like lots of fun, Julie! And so glad you and your crew discovered that together. I just got this at our library, and I love it! Such a good story time book, and kids can shake the book to shake the tree, plus that great surprise ending! This story looks so fun and full of humor! Can’t wait to get my eyes on it!